Herbert Lee “Herb” Barkley, 85, husband of Peggy Rosalie (Hulvey) Barkley of 316 Sharon Lane, passed away, Wednesday, October 24, 2018 in Augusta Health in Fishersville. Mr. Barkley was born on December 10, 1932 in Staunton, son of the late Jessie James and Helen (Jordon) Barkley. 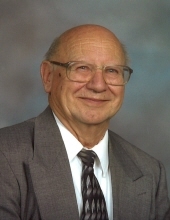 Herb was an active member of Marquis Memorial United Methodist Church, where he sang in the church choir, he was a member of the Ever Young Singers and the Dulceters Quartet. After graduating from high school, Herb joined the United States Navy and was noted as one of the first Radarmen on his ship. He retired from the Staunton News Leader as a composer after forty-four years of service and later drove automobiles for a number of local dealerships. At the age of fourteen, Herb joined the Boy Scouts of America, later becoming a Scout Leader. Mr. Barkley was an avid Washington Redskins and Washington Nationals fan, he enjoyed attending church, bowling and gardening. In addition to his parents, Mr. Barkley was preceded in death by two sisters, Elizabeth Stover and Betty Barkley. Surviving in addition to his wife of sixty-two years, are three sons, Michael L. Barkley, Wayne R. Barkley, and Jeff S. Barkley all of Staunton; a daughter, Brenda K. Fetzner and husband Edward of Springfield; a brother, William David Barkley of Staunton; a sister, Jane Sellers and husband Harold of Swoope; seven grandchildren, Casey, Taylor, Zak, Raven, Jessica, Ashley, and Matthew; eight great-grandchildren; and a number of nieces and nephews. A Celebration of life will be conducted 2:00 p.m. Monday, October 29, 2018 in the Marquis Memorial United Methodist Church by Pastors Elizabeth Walker, Robert Sharp and Leroy Hulvey. Active pallbearers will be Edward Fetzner, Charlie Johnson, Tim Hanger, Harold Sellers, Joe Stover, and Larry Barrett. Honorary pallbearers will be the Men of the Church. It is suggested those desiring make memorial contributions to Marquis Memorial United Methodist Church, 1614 West Beverley Street, Staunton, Virginia 24401. To send flowers or a remembrance gift to the family of Herbert Lee "Herb" Barkley, please visit our Tribute Store. "Email Address" would like to share the life celebration of Herbert Lee "Herb" Barkley. Click on the "link" to go to share a favorite memory or leave a condolence message for the family.